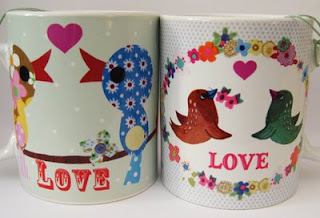 I was doing my 5 o'clock blogging and went over to Print & Pattern and found these super cute mugs from Petra Boase! Ive been kind of obsessed with mugs lately and I think I would probably smile my face off if I drank out of these. too cute! !